My charge tonight is to give a keynote in which I lay out what I think the major challenges are for Metanexus and the work ahead. I was not to offer a retrospective, but a prospectus, both intellectual and strategic. I would like to begin by unpacking our call for “the constructive engagement of religion and science”. I will first do so by examining what’s wrong with religion and then turn to what’s wrong with science. Throughout, I will address why the constructive engagement of religion and science is needed as a corrective and conclude with some strategic thoughts about how this might be best pursued. In the first case, what’s wrong with religion, I have the advantage of being able to merely cite a torrent of new books written by prominent scientist-atheist-philosophers. Richard Dawkins, Daniel Dennett, Sam Harris, Christopher Hitchens and others have detailed many manifest problems with religion in the world today. While I disagree profoundly with what we should call their theology, I find myself generally in agreement with the many examples of dysfunctional religiosity that they cite in their books. The list is long – intolerance, anti-intellectualism, wishful thinking, superstition, tribalism, and chauvinism – to name just a few of the human character flaws that often attach themselves to religion. These days, when I read the newspapers and look around the world and at myself, I am frequently reminded of Reinhold Niebuhr’s quip that “the doctrine of original sin is the only empirically verifiable doctrine of Christianity.” We are all flawed. The negative manifestations of religion and spirituality trouble me – a lot — and should trouble all of us in our rapidly changing global civilization. There is a need for a global reformation of religions, but that transformation will not happen without a confession of our sins. Rather than seeing Dawkins, Dennett, Harris, et. al. as enemies of religion, I would rather coopt them to into the loyal opposition. If they didn’t exist, we’d have to invent them. Their conclusions are unjustified, their a-theology woefully inadequate, but the moral and intellectual outrage that they manifest is far too often well-placed, albeit one-sidedly. Of course, humans desire certainty. We are limited in our ability to deal with complexity. We rebel against cognitive dissonance. In the political realm, truth and goodness are subservient to the calculus of getting and maintaining power. Religion becomes a weapon in our ideological warfare and tribal conflicts. We see such conflicts being waged throughout the world today in culture warswithinour civilizations and in clashesbetweenour civilizations. These religious and ideological battles are waged with increasingly destructive weaponry and increasingly powerful mind-numbing mass media. When I first read Sir John’s writings back in 1995, I was immediately hooked. What he was preaching was and remains vitally important for the future well-being of the world. When one of the greatest investors of the 20th century turns around and invests his fortune in revitalizing and enhancing religion and spirituality, we should stop and take notice. I pray that Sir John and indeed all of us will reap extraordinary benefits from these investments, not so much in domains of the sciences, which have been doing quite well on their own, thank you, as in the domains of religion, where we still have much to learn. So what’s wrong with science? Sorry to disappoint some of you, but I am not going to embark upon a diatribe against the evils of philosophical materialism or atheistic scientific naturalism. And I am certainly not going to hold forth criticizing the evils of evolution and Darwinism. The religion of science, better referred to as scientism, is not science. Scientism is a particular brand of theology and belong to the first part of this lecture along side of the other religions. We do real science a disservice by confusing the boundaries between scientism and science. The biggest problems for science, real science, arise from its very success. Humanity has made enormous progress in the last few centuries and decades in the domains of science, discovering causal patterns and relations, and then manipulating these with new technologies to our benefit, thereby also increasing our capacities for new scientific discoveries. All of this has resulted in an exponential growth in knowledge and power, though unfortunately not a commensurate growth in wisdom and compassion. Scientific progress has also supported an exponential growth in human population and consumption patterns, such that ecological systems around the world are now significantly changed through human behavior. We have been engaged in large-scale environmental engineering and are about to embark upon large-scale genetic engineering of other species and ourselves. 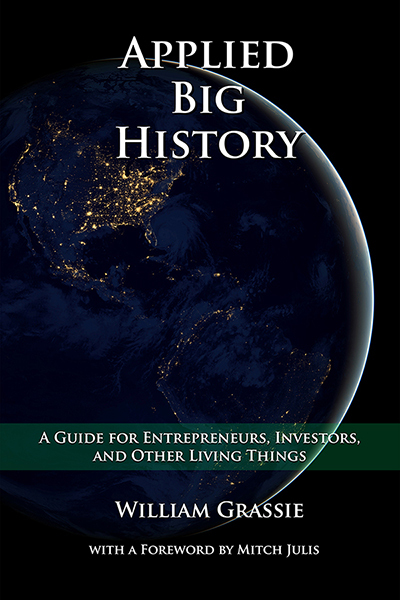 We live at an extraordinary moment in the natural history of our planet and the cultural evolution of our species. Sans modern science, we would certainly not be confronted with the kind of problems we see in the world today, nor would we have the extraordinary benefits. The 20th century may very well come to be considered the “age of hyper-specialization.” Through the increasing division of labor—both economic and intellectual—humans have certainly made enormous progress. We see the acceleration of specialization not only in industry, but in higher education as well. Does hyper-specialization, however, with its intensification of complexity and multiplication of information, also produce significant problems? Does it—and must it—lead to disintegration, a fracturing of knowledge, of culture, and of the soul? What impact has hyper-specialization had on education? And what are its implications for that which goes by the name of “science and religion dialogue”? …A transdisciplinary approach to the unity of knowledge respects the various disciplines and their methodologies, even as it looks for a means for developing a rigorous higher-order appropriation of the knowledge that comes from them. It is the synthetic or integral complement to (not a replacement of) the analytic methodologies of the various sciences. 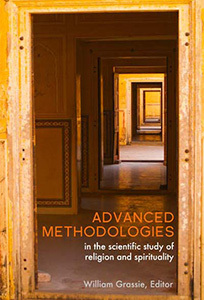 It strategically considers the natural, social, and human sciences, philosophical perspectives, and even religious insights in multi-pronged approaches to theoretical and practical problems. It takes up questions that transcend the boundaries of any given body of expertise. There is a great deal of insight and wisdom in these words from my friend and colleague, Dr. Eric Weislogel, now the Executive Director of the Metanexus Institute. It is easier to state in a few paragraphs, but much more difficult to make real in any of us, in our schools, in the world. Eric uses the phrase “the whole story of the whole cosmos for the whole person,” but frankly I don’t begin to understand the whole story or the whole cosmos. I don’t begin to understand or manifest what it might mean for me to be a whole person, indeed mostly I feel rather fractured and finite, full of insatiable longings and infuriating inadequacies. What is wrong with science is primarily a problem of general education both for the specialists and for society-at-large. The United States and other countries have invested an enormous amount of money in general science education over the last few decades, but with little success. True, we continue to create extraordinary specialists in many fields, but general science literacy, even among the specialists seems to be in decline as any number of current studies indicate. I believe the primary problem is one of education and we’re going to need a new approach. In contrast to religious exclusivism and postmodern philosophy, science really is an example of a self-transcending learning process that moves towards consensus. Scientists have lots of arguments, to be sure, but over time they tend to agree about the details. And scientists achieve such consensus, in spite of its social, economic, and cultural context. The universalities in science, however, are quite specific, perhaps not very useful in answering the big philosophical and moral questions about meaning and purpose. Science is building a new Tower of Babel, as the sciences break down into a mind-boggling variety of disciplines and specializations. The methods of scientists differ dramatically from one specialization to another, what works for a particle physicist has nothing to do with the work of a microbiologist, the ethologists don’t speak the language of embryologists. All is not lost, however, because in spite of the lack of a universal scientific epistemology and in spite of the exponential growth in information, the threads of scientific facts are woven on the warp of time and the woof of scale like a magical Persian tapestry. We live in a universe, which has been evolving through time over some 13 billion years and is ordered in the scale of entities from the microcosmic to the macrocosmic. 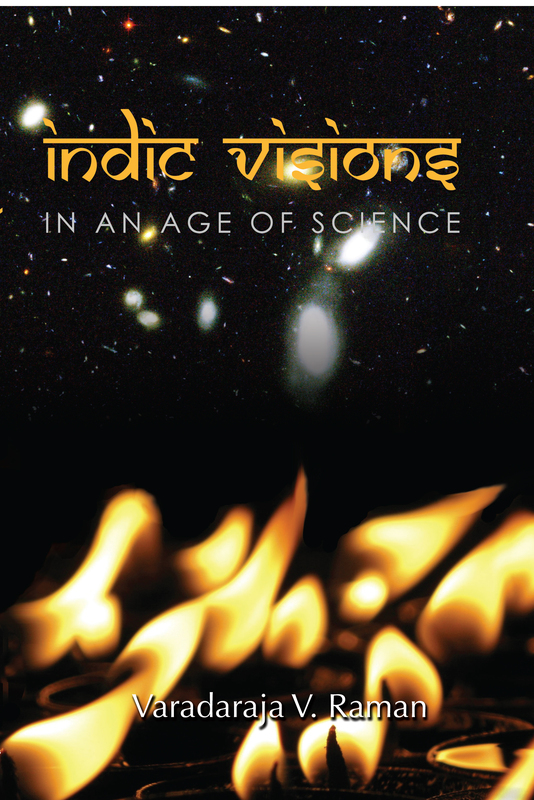 When it comes to religious and philosophical interpretations of science, it is vital that people know the science, and not just in its particulars, but in the entire sweep of scientific discovery. Specialists only have a piece of the puzzle, not the whole. A rigorous and comprehensive understanding of science is the precondition to any responsible interpretation of science. The remarkable ignorance about science displayed by many otherwise intelligent and decent people is also disturbing. How do we address these problems in general science literacy, social acceptance and integration of basic scientific insights into our cultural systems and religious traditions? Metanexus and others1 are promoting a new paradigm for teaching science, addressing the vast explosion of scientific information and technological capability in recent decades, as well as, a sense of urgency in applying this knowledge in the context of growing global challenges at the crossroads of scientific knowledge, cultural clashes, and dire portents. We are promoting an integrated science curriculum that incorporatesthe history of natureas an organizing principle in teaching science. Such an integrated science curriculum will cover inchronological orderandemergent contextthe origins of the universe, the laws of physics, the formation of subatomic particles and simple atoms, the formation of galaxies and stars, the complex chemistry originating in stars, the origin of the solar system including our planet, the origin and evolution of life,including the cognitive, cultural, and technological evolution of humans. Initially, we proposed to develop and test this curriculum at the undergraduate level, believing that undergraduate education is an appropriate place to begin such experimentation and curricula development. I believe the rationale is compelling. By incorporating the chronological narrative of the universe and hierarchical complexity of nature as the framework, we provide a mnemonic for students and specialists alike to learn and retain the details of science. Beyond mere scientific literacy, these students would also be able to understand different philosophical and religious interpretations of science. As the late German physicist and Templeton-laureate Carl Friedrich von Weizsäcker wrote, “the most important discovery of modern science has been the history of Nature.” Unfortunately, this most important discovery of science rarely makes it into the science curriculum or our public debates about the interpretation of science. To alleviate the conflict between some people of faith and public education and to mobilize a religious constituency that supports general science education and publicly supported scientific research in the U.S., and on an international scale. These ambitious goals are easier to state here as a vision than to realize in the complex educational bureaucracies in the world. The vision is nonetheless worthy of our careful consideration. Unfortunately, our efforts here at Metanexus to attract funding for this project have been unsuccessful. It is clear to me, however, that I need to stop talking about teaching and just start. I personally needed to get back into teaching, as a prelude to writing, as part of a larger strategy for making my small contribution to a healthier and safer world. Hence, my decision to step down as executive director of Metanexus, and initially to spend the next year on a Senior Fulbright Fellowship teaching science and religion courses in the Department of Buddhist Studies at the University of Peradeniya in Kandy, Sri Lanka. I hope that this next year in Sri Lanka will be a prelude to many more teaching opportunities in the United States and around the world. I love to teach. Teaching helps me to structure my reading and thinking. Teaching stimulates my writing, which has never come easy to me. And teaching gives me immediate feedback through my students. I fully expect that my students will accomplish much greater things than I have ever dreamt possible in my life. Unfortunately, and not unlike the remarkable endeavor that we are all engaged in, I do not fit neatly into the departmental structures of the modern university. Why hire a comparative religionist who wants to teach science? In any case, my next job is our next job. And my next job is still part of this meta-nexus that we are building together. 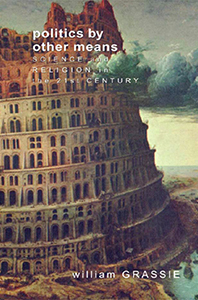 Whether we refer to this meta-nexus as the constructive engagement of religion and science, whether we call it transdisciplinarity and the unity of knowledge, or whether we talk of foundational questions, we are really all just beginners, in spite of whatever amazing specialized knowledge we may have obtained in some particular fields of science or the humanities. And if the real promise of this meta-nexus is to be fulfilled, if the real charge from Sir John Templeton is to be actualized, if the real challenges of the 21st century are going to be addressed, then this process must also be international and interreligious. $2,250,000 for up to 75 three-year grants to form new interdisciplinary “metanexus groups” at leading educational institutions in the U.S and abroad. $750,000 in additional grants to incentivize institutional matching support for these locally-acting interdisciplinary groups. $1,500,000 in continuing support of the top-performing existing local societies. $1,663,000 in support of the annual Metanexus conference, bringing together leaders in the field from around the world. Also envisioned beyond this funding are “center of gravity” grants to support national and regional organizations. All of this represents a major investment by the John Templeton Foundation and a whole lot of work for the team at Metanexus and all of you. All of this is central to realizing Sir John Templeton’s vision. We at Metanexus will also continue to develop our online capacities to publish and host a robust and rigorous interdisciplinary and interreligious dialogue. For Metanexus, as for all academics, the challenge is also to publish or perish. And yes, the pen is mightier than the sword, and the blog is more powerful than the bomb, at least some of the times. To realize that vision, we need you to participate as readers and critics, as authors and subscribers, and as benefactors. In 2006, www.metanexus.net had 1.2 million visitors, 3.2 million page views, over 700,000 articles viewed online, over 160,000 articles printed off-line, over 200,000 PDFs downloaded, and over 100,000 copies of our monthly e-publication circulated. And let’s be sure that credit goes where credit is deserved. Greg Hansell is the remarkable intellect and energy that facilitates most of the work behind the scene, not only providing intellectual and editorial leadership, but also a profound skill as a computer programmer. He (and we) can’t continue without your participation as readers and critics, as writers and subscribers, and as benefactors. If you haven’t paid up your Metanexus dues and considered an additional contribution, then right now would be a good time to do so. I am very proud of this organization, the Metanexus Institute, not because I bear the title “founder” and “emeritus director”, but because of its lofty mission and its values, because of the incredible network of people involved, because of the extraordinary intellectual and spiritual challenges presented, because of the talented and dedicate staff and board, and because of the profound moral and practical problems that may yet be solved. 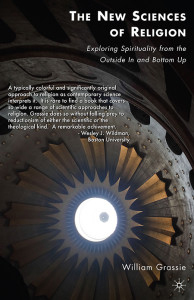 For me personally in my own spiritual and professional journey, I was always motivated first by the hope that this crazy and wonderful engagement between the domains of science and the domains of religion provided some leverage in a troubled world. I still believe that the constructive engagement of religion and science provides both a fulcrum and a lever to move the world in more positive directions. I discovered along the way that this is not only a powerful tool, but it also fun and endlessly fascinating activity. I have learned so much from all of you. As I already mentioned, next year I will be teaching on a Fulbright Fellowship at the University of Peradeniya in Kandy, Sri Lanka. The two courses that I will be teaching include an introductory science and religion course, which will take the history of nature as its point of departure. The second course will look at the new sciences of religion and I encourage you to read my recent essay online that details the approach that I take to these new sciences of religion. In both cases with both courses, I hope to be writing regular contributions on the Metanexus website. Maybe there is even a book or two waiting to be birthed. Of course, I will also be learning about Sri Lanka, its cultures and religions, and the challenges of an intractable civil war and the often desperate economic need in that country. Sri Lanka strikes me as a microcosm of our world, a paradise full of problems. I don’t know what comes after next year, but I do know that this remarkable organization, the people and ideas involved, and the work to be done will continue to be part of my personal and professional life. I wish us all God speed and much success. 1. See for instance, a curriculum developed by SETI entitled “Voyages Through Time” http://www.seti.org/site/pp.aspx?c=ktJ2J9MMIsE&b=181004. See also the work of Eric Chaisson at the Tufts at the Wright Center for Science Education at Tufts University, http://www.tufts.edu/as/wright_center/eric/ericpage.html. 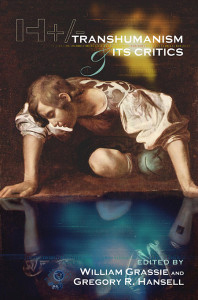 For a more populist approach, see the work of Michael Dowd and Connie Barlow at http://www.thegreatstory.org.